Cosmetic Dentistry: Which One is Right for You? Posted June 28th, 2016 by Lillian Price & filed under Dental. Posted June 23rd, 2016 by Lillian Price & filed under Dentist. Posted June 20th, 2016 by Lillian Price & filed under Dentist. Posted June 20th, 2016 by Lillian Price & filed under Dental. Posted June 10th, 2016 by Lillian Price & filed under Dental Implants. Posted June 2nd, 2016 by Lillian Price & filed under cosmetic dentist. There are so many reasons that make cosmetic dentistry worth it. 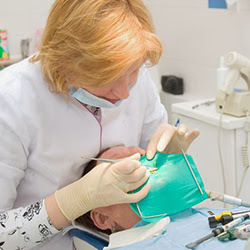 Many people consider seeing Cosmetic Dentists in Branford CT for countless reasons. Here are all of the benefits that come with it and reasons why you should have cosmetic dentistry work done on your teeth. Posted June 1st, 2016 by Lillian Price & filed under Dental.